Think of a famous Disney song… Do you wanna build a scarecrow? Summer is finally here, and with it comes the Denby Dale District Lions Club’s second Scarecrow Festival! The event is taking place on Saturday 9th and Sunday 10th of July, starting at The White Hart in Denby Dale. Everyone will meet at around 10 o’clock where there will be a barbecue serving bacon sandwiches for everyone to enjoy, with other attractions such as face painting for the kids. The Denby Dale District Lions club is an organisation that runs fundraising events throughout the year to bring communities together and raise money for charities in the process. Butcher Residential is proudly sponsoring the festival this year, meaning that 100% of the profits will be donated to charity, which this year is Barnsley Breast Cancer Unit. The new expanded unit opened in 2003 and the nurses there have worked hard to consistently be the top performer of the 11 breast units in the North East and Yorkshire and Humber region. The theme for this year’s festival is countries entering Euro 2016 and the Rio Summer Olympics. 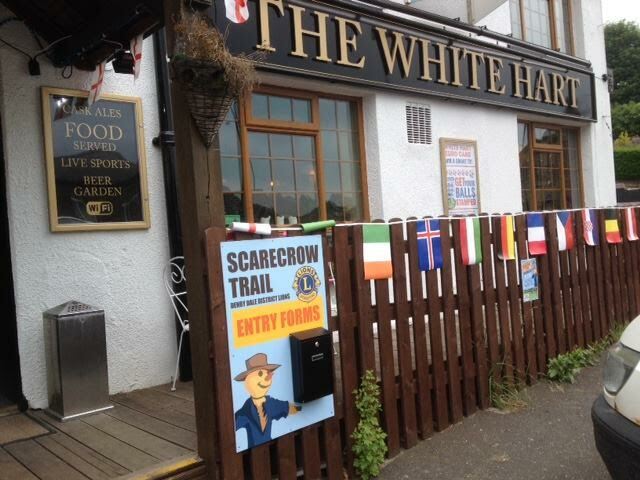 The scarecrows will be voted on by the public and the three winners will receive cash prizes. Last year 30 scarecrows were entered into the competition, and this year the number has risen to 44! The event this year has incorporated many more local businesses than last. Giving the festival more of a community feel, which is what it’s all about. Come and check out the many stalls, strawberries and cream and a treasure hunt within Springfield Mill – and don’t forget to view the children’s gallery in our office, where you can vote for your favourite scarecrow house, created by children from schools in the local area. Our office will be open on Saturday 9am - 5:30pm and Sunday 10:30am - 4pm. The event aims to attract people of all ages, with a scarecrow trail covering the vale of Denby Dale for the children, (and adults)! The turnout last year was fantastic, with around 1500 people attending, but we’re all hoping for an even bigger one this year! So get involved by coming down to the fun-filled family event. You won’t want to miss it!